Damping-off frequently attacks young seedlings of almost all kinds of vegetables and herbs. Just after seedlings have emerged from the soil, they are easily killed by fungus organisms likely to be present vegetable field. 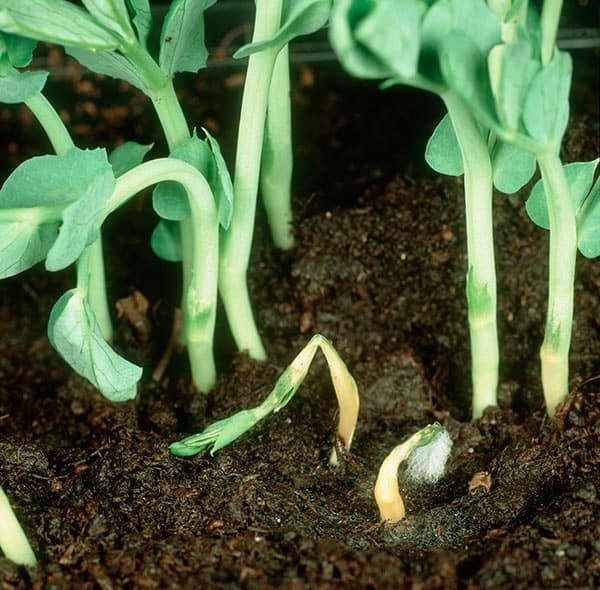 Seedlings that die or fall over are said to “damp-off.” Seedlings may also die before emergence, referred to as pre-emergence damping-off. The pathogen has increase in importance in years. Seedling fails to appear or collapse at soil level.